We will be doing a lot more with variables in the next tutorial. 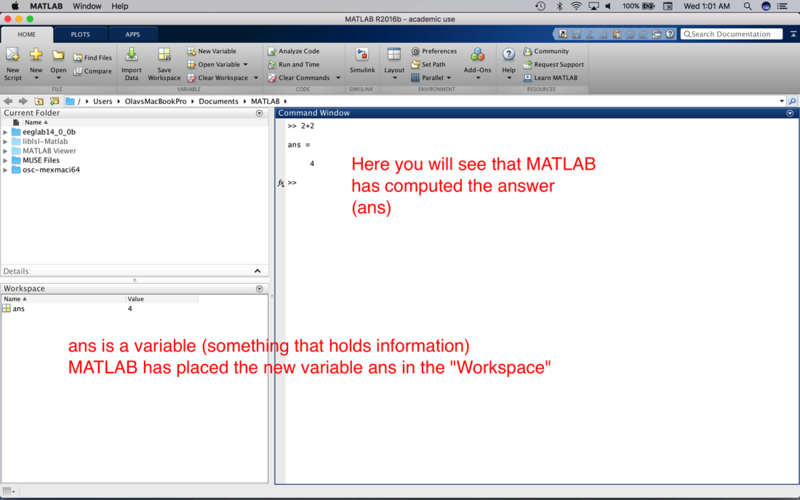 For now, we will review the basic MATLAB mathematical operators. Make sure you try them out in the command window. ​Move onto Tutorial 1.3 when you are ready.